Take a breath and step into the unknown. Ambient Shift & Downtempo Auras drifts between genres and the worlds of nature and digital. Future chords, crisp organic soundscapes and atmospheric melodics float over deep foundations of thick Kicks, powerful Snares and crumbled Foley Percussion. Inspiration for Organic Beats, Hip-Hop, Future Soul and Electronica. Characterful drums and crisp foley one shots combine to create the deeply saturated beats of the future. 80 complex drum loops feature split layers for versatility – Full Beats, Kick & Snare & Percussion. 80 uniquely designed drum one shots including Kicks, Snare cracks and off-beat Snares with shattered Foley layers, Hi-Hats, Foley Perc and contemporary Percussion. All loops are included as Bonus Rex2 loops ready to layer or chop! Over 100 inspirational melodic loops are included with an expansive range of sonic characters. Saturated Arpeggios layered with tape delay and urgent stutters. Bass and Sub Bass ranging from clean sines, rolling reeses and smooth subs to fractured pulses, overdriven warps and gliding leads. Synthetics, organic textures and beautiful complex ideas include Bells & Plucks, Guitars, Future Keys and Ethereal Pads. All loops cover a range of musical keys and tempos between 95-140 BPM. A generous collection of FX One Shots & Loops, Raw Foley Captures and Transition FX are perfect to add shine and movement to your production. Deeply effected natural recordings and highly processed digital FX include syncopated loops and tempo-synced foley patterns. 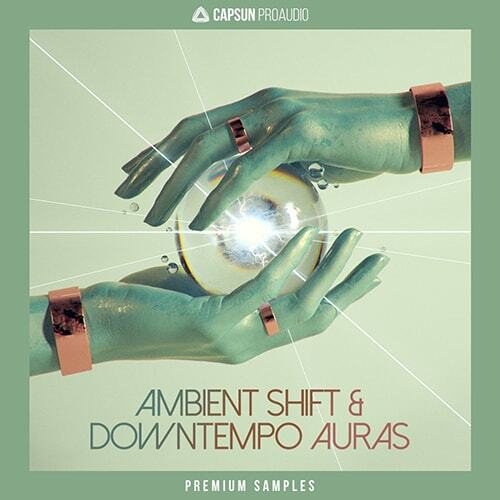 Ambient Shift & Downtempo Auras has been created exclusively for CPA by Serbian producer Flukeluke and features his personal take on location recording, natural and urban sounds and audio manipulation using granular, FM and forward thinking processes. 100% royalty free and recorded in crisp 24-bit 44.1 Khz. All loops Tempo Tagged and all melodic samples feature accurately Key Info where applicable. As always we have meticulously designed, recorded and processed these premium samples to the highest standard. Perfect for producers and musicians that favour Downtempo, Organic Beats, Hip-Hop, Future Soul, Atmospheric Drum & Bass and Experimental Electronica. However, the quality and depth of the sounds will also lend themselves to sound and music for Film, Media & Gaming.